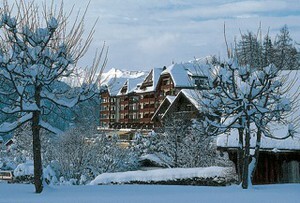 A sudden New Year’s resolution to conquer the ski slopes, and take my first ski lesson, led me to Gstaad recently. I was also seeking the Gstaad of yore—the golden years of Gstaad in the 1980s when A-list social swells and film stars like Elizabeth Taylor and Roger Moore frequented its ski-friendly slopes—to see if the myth held any truth. Despite a mild winter in the Alps (did anyone notice that New York has had more snow than many alpine ski resorts recently? ), there was an urgent need to dress the part of a rich, semi-professional skier in Gstaad, even if I felt I would never have the courage to put on a pair of skis. Fur, fur, and more fur, plus an Armani ski suit, a helmet, socks, gloves, and sweaters were offered to me in frantic emails from girlfriends. I was fatiguée by the time I looked at all the extra luggage I needed to bring. 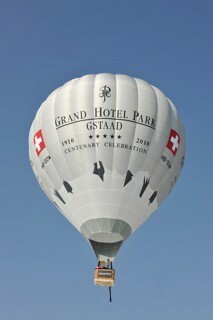 Good thing Gstaad offers more than skiing to pass the time. After the lull following the über-intense holiday season when the town is deserted, there is, in fact, a full roster of events and romantic activities to make Gstaad a destination worth visiting for Valentine’s Day. As long as you alert your private banker, or extend the credit rating on your credit cards, you should be fine. Prices tend to be stratospheric, but considering that Le Rosier, the world’s most exclusive private school is also located in Gstaad, you know what I mean about prices. Cozy sleigh rides, ice skating, concertizing, fondue-ing, spa-ing, shopping for insanely overpriced clothes and accessories (think Loro Piana and Ralph Lauren, both of which have boutiques on the main street), and riding the gondola cable car up and d own the Eggli are right up there with visiting the Cheese Cathedral for a tasting of local alp cheese. Putting aside myth #1 that The Palace Hotel is the place to be seen and stay, the newly renovated Grand Hotel Park  hotel offers a welcome and fresh change of scene to the staid and stuffy competition. Part of the enduring charm of Gstaad, as explained to me by the young and bubbly General Manager of the Grand Park Hotel, is that patrons return year after year to Gstaad because nothing much changes. The village has strict guidelines about any new building projects. It’s like Palm Beach in that it’s in a bit of a time warp. Behind the traditional Swiss alpine façade of the Grand Hotel Park hotel, one finds a mini-village of on-site activities: a private skating rink, a resident balloonist, or aérostier, a spacious fitness and spa facility with hair salon (the hotel also boasts the largest penthouse suite in the Alps, fitted with a salon chair for in-room visits by hotel’s hair stylist), an on-site movie theatre and game room. For a truly romantic escapade, and for those who are not afraid of heights, then the private balloon trip with Champagne fanfare is the way to go. You’ll even get a certificate upon landing from the rugged aérostier, Christian Dupuy. If you’re in the mood for skiing and want to refresh your moves, or learn more, then let the hotel organize a private ski l esson for you. And don’t miss out on a coupe de Champagne in the Veuve-Cliquot hut strategically placed at the entrance to the slope. Better to do this after you’ve had a run on the slopes and not before. For all that’s said about Gstaad, I was delighted to take my leave and journey to Clinique La Prairie  in Montreux where the weather was mild and sunny, with the partially snowy alps winking at me in the distance. Take trips, not chances. For peace of mind each and every time you travel, enroll for MedjetAssist  evacuation services. If you’re planning a trip to Switzerland (or anywhere else for that matter), you can reserve your hotel here . To rent a car, Bonjour Paris recommends Auto Europe .